Major Fulton was 63 when he died in January 1900, living a generous 16 additional years beyond the frighteningly short life expectancy of the time. He’d been suffering from erysipelas, a nasty bacterial skin infection that is generally treatable today, but not so much in 1900. I don’t know if Fulton ever played baseball. But, I do know that he was the Baltimore Orioles biggest fan in the 1890s. The Orioles were a stinky 60-70 in 1893, finishing 8th in the National League – 26-1/2 games back of the pennant-winning Boston Beaneaters. 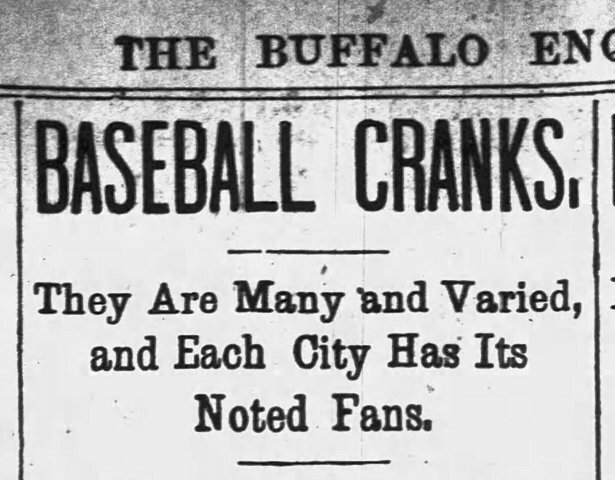 Then, in 1894, Major Fulton showed up, traveling to spring training and tagging along to games, and the Orioles went on a pennant-winning spree. The connection was obvious – Major Fulton was the good-luck charm that the Orioles needed. 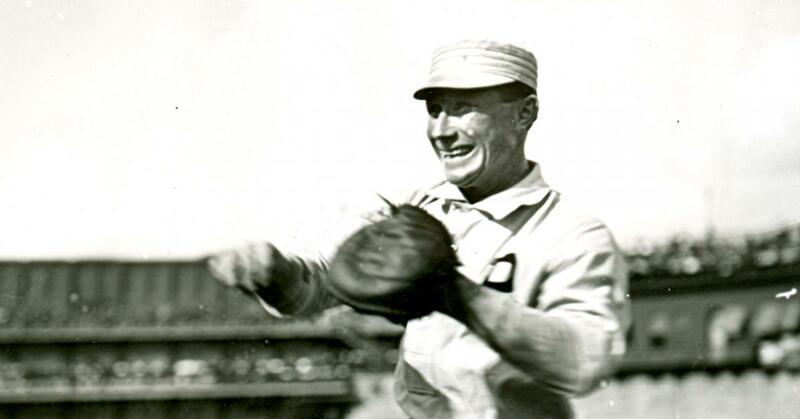 He traveled with the team, joined in their boozing and brawling, often sat in the owner’s box during home games, went on post-season barnstorming tours, celebrated holidays at players’ homes and bought them gifts, and generally made himself useful. Those Orioles teams between 1894 and 1896 weren’t just good. They were the best. They’re still considered one of baseball’s greatest teams. Sure, it’s easy to be a fan when your team is on top. But, being a fan back then – or a “crank” as they were called – took dedication. Baseball was a grimy, dangerous affair and so was travel, so give Major Fulton props for pluck and devotion. In July 1894, he was with Orioles shortstop Hughie Jennings when the two left Cleveland by train following a game and were halfway to St. Louis before they realized there were no other Orioles with them and they should have been on the train going to Louisville. I share this one story simply because the details from The Baltimore Sun are just too good. The two had dinner, hopped a freight train back to Cleveland, and eventually made it to Louisville, but not before Jennings missed the first game in the series. Fulton made amends by buying everyone on the team cigars. Major Fulton was a childhood classmate of John Wilkes Booth and, as a child, often attended Booth’s theatrical performances. “He did not take part [in the performances] himself, as all his tastes as a boy ran in the direction of amateur magic,”The Baltimore Sun explained. There was a Mrs. Fulton, although you’d be hard-pressed to know that. She didn’t accompany her husband on his baseball travels, didn’t seem to be with him when he wintered in California or Florida, and didn’t appear much in print until after his death, when she was occasionally noted as attending Baltimore social events. Major Fulton served as an engineer aboard the U.S.S. Hartford during the Civil War, taking part in the battles at New Orleans and Vicksburg. 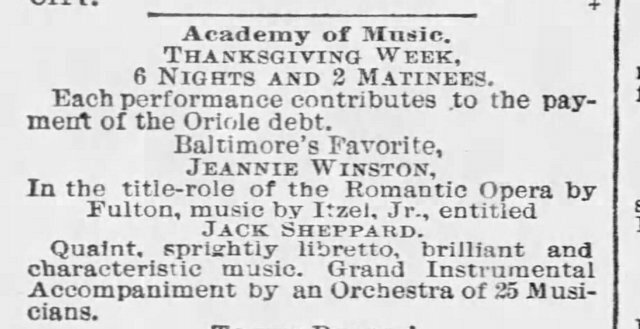 He wrote for his father’s newspaper, The Baltimore American, and received some modest attention for a few odd musical productions he wrote in the 1880s, including “Jack Sheppard” and “Ina,” two operas I’m pretty sure you’ve never heard of. Good seats — 25 cents & 50 cents. He ran for Congress at some point in the 1880s. He lost. Oh, one more thing. The Black Aggie statue that was erected on General Agnus’ Baltimore grave following his death in 1925 was thought to be haunted and caused such an enormous amount of tourist traffic and vandalism it was ultimately removed from the cemetery in the 1960s. Should you wish to be creeped out, the statue is now on display in Washington, DC. I have a photo of General Agnus. 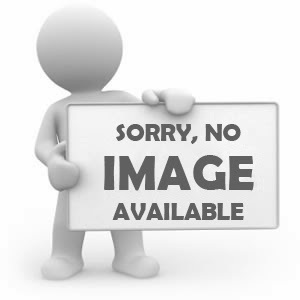 I have no photo of Major Fulton. Union soldier. Writer. Failed Congressional candidate. Somersaulter. Baseball fan. If Major Fulton were alive today … he would be 182. And, do you know what else he would be? He would be an Orioles fan. He would also, I’m pretty sure, still be pissed off at his brother-in-law. But, mostly, he would be an Orioles fan. Because even a bad Orioles team is better than no team. 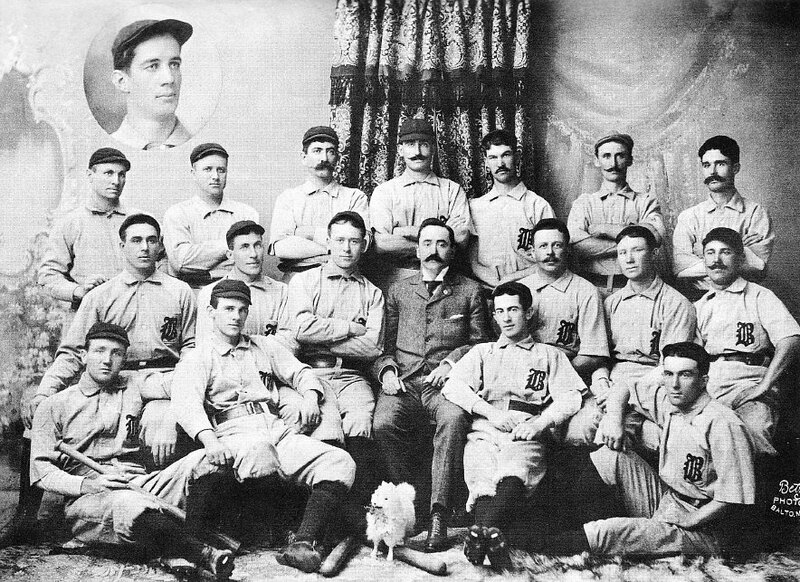 The legendary National League Orioles team was dissolved at the end of the 1899 season, just a few months before Fulton’s death. In 1901, an American League Baltimore Orioles franchise was formed and in 1903, that team jumped to New York where it eventually became the Yankees. Major League baseball would not return to Baltimore until 1954. 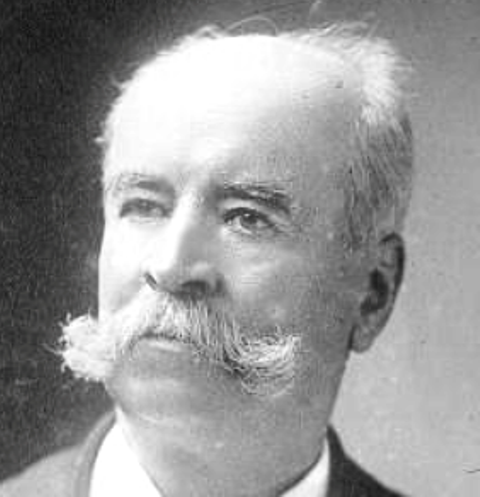 Major Fulton’s funeral was on February 3, 1900. It was attended by his immediate family and a delegation sent from the local Elks lodge. It’s unknown if any Orioles attended the funeral, but it was said that his casket was completely covered in flowers. 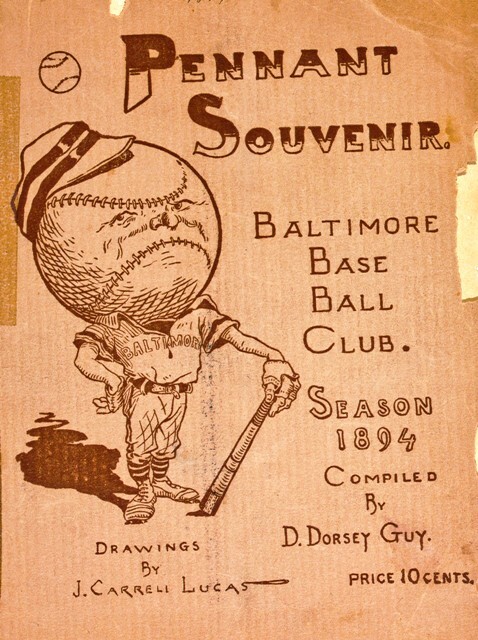 This entry was posted in Baltimore Orioles, Baseball, Baseball History and tagged 19th Century Baseball, Baltimore Orioles, Baseball Fans by Jackie, The Baseball Bloggess. Bookmark the permalink. Let’s bring back the term “crank.” The most obvious fit is for Yankee fans queued up trying to get on the subway platform after another humiliating loss to the O’s. I know! I love “crank” too! Very interesting info as usual, Bloggess. Great job. Crankees! Brilliant … Love, love, love it! Major Fulton’s spirit has now been memorialized for posterity in the digital world. Thank you for finding these gems and sharing them with us. Listed top to bottom, from last place to first place. Ain’t the beer cold. Yup, I couldn’t have made up Major Fulton’s story if I tried … he was the real thing. And, yes, up until the mid-20th century a “mascot” usually meant a person that in some way represented the team’s character or luck. The big fuzzy mascots of today evolved out of that. Fantastic stuff. I love it. Good luck to the O’s this year!